Mercure Bucharest Unirii is located just minutes away from the center of Bucharest and the historical center itself. Good public transport links to the business and shopping areas and numerous touristic attraction are also within walking distance. Our recently refurbished 12-storey hotel offers a total of 95 rooms. All rooms are furnished with elegant modern furniture and offer the perfect environment for you to relax during your stay. Bucharest is just your top destination: the tree-lined boulevards, the delightful parks, and the monumental city dating from the end of the 19th century - early 20th century, when Bucharest was given its name of "Paris of the East". 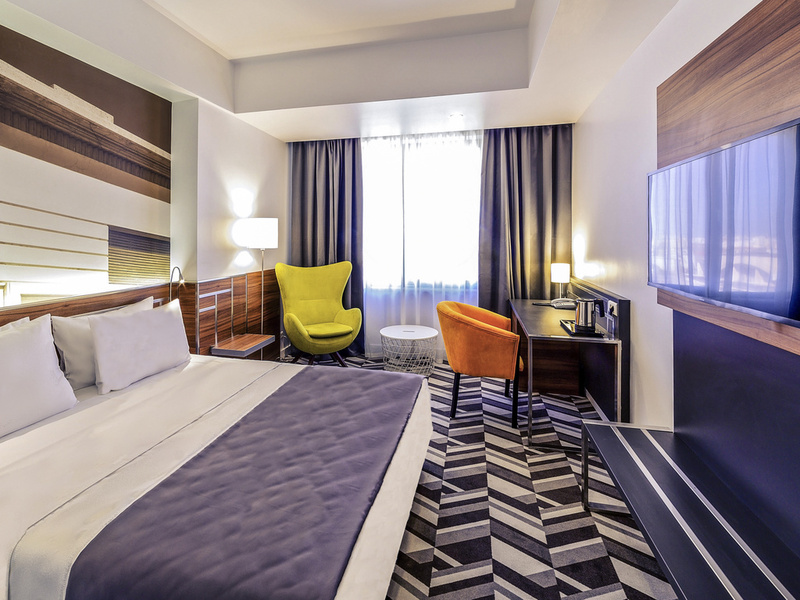 Welcome to Mercure Bucharest Unirii, our newly refurbished hotel ensure some of the best rooms in town, our team will ensure you have a great time. Newly designed rooms with great bedding, including all the facilities guests would need such as LCD TV, tea and coffee making facilities, mini bar and great WIFI. Your room is carefully prepared for you every day by our housekeeping team. Our brand new 55 m² Deluxe Suite ensure some of the best accomodation in town, top facilities, large LCD TV, great bedding, large comfortable bathroom, all amenities you might wish for... Our team looks forward to welcoming you to this great suite. From breakfast to dinner, and thanks to our room service, we provide tasty and healthy options, trendy environment, and great service. This is the perfect place to be! Fron breakfast to dinner, and thanks to our room service, we provide tasty and healthy options, trendy environment, and a great service. This is the perfect place to be!